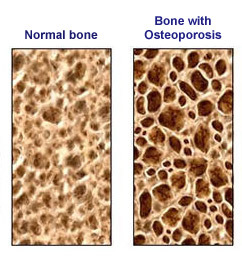 One out of two women over age 50 breaks a bone as a result of osteoporosis. Bone density in women reaches a maximum around age 30, and afterwards begins decrease slowly until reaching menopause, after which the decrease accelerates. For this reason, the greater the bone density at age 30, the better off you are, explains Dr. Eileen Hoffman, adjunct director at the Program of Health in New York. Between 15 and 20 million North Americans suffers from osteoporosis, the majority in older age, which explains the 1,300,000 bone fractures a year. The National Academy of Sciences recommends women ages 19 to 50, including pregnant and breast-feeding women, consume a gram of calcium a day and after age 50, increase that amount to 1.2 grams a day. Two cups of nonfat milk and a container of yogurt provide about 1 gram of calcium. Diet recommendations: Eat foods rich in calcium: nonfat dairy products are an excellent source of calcium. A container of nonfat yogurt contains 30% of the daily calcium recommendation. Other foods rich in calcium are salmon, sardines, corn tortillas, almonds and walnuts. Vitamin D is essential for the absorption of calcium. 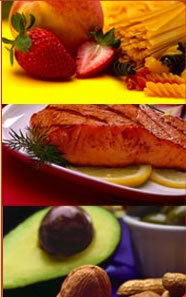 Good sources of vitamin D are dairy products and fish oils. Another mineral, borium, can help prevent osteoporosis and increase the level of estrogen in the blood. Dried fruits, such as cherries and apricots are an excellent source. Soy provides isoflavones, a type of phytoestrogen, which is similar to human estrogen and helps the absorption of calcium. Soy milk preparation: allow the soy beans to soak all night in enough water to cover them. The following day, throw out the water and add two cups of clean water and liquefy the soy beans and water in a blender. The milk is ready and you can add chocolate, fruit or sugar to flavor it.